Unless you're rolling in a new car, trying to connect your iPod or MP3 player can be a messy task. There's always those ugly wires, radio interference, and whatever else is preventing you from blasting that new ish. Sony's DSX-S300BTX Digital Media Receiver is definitely one of your best options. 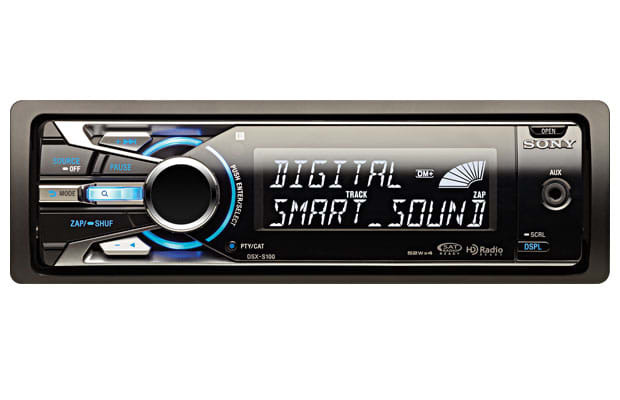 With its Bluetooth-streaming capabilities, you can stream your music to the receiver and make hands-free calls, as well as flip open the front faceplate to use the integrated USB Tune Tray that allows you to connect and store your iPod.